We are in love with the textures, the versatility, the rich colors, the romance and yes, the sensual quality of handmade papers, and are dedicated to continuously exploring and expanding this product area, as well as coming up with great new ways to work with this wonderful stuff! Most of our papers are considered acid free. Actually they are “acid neutral: meaning they fall in the ideal range for longevity between acid and alkaline. Most are not made of wood and therefore lignin is not a concern. 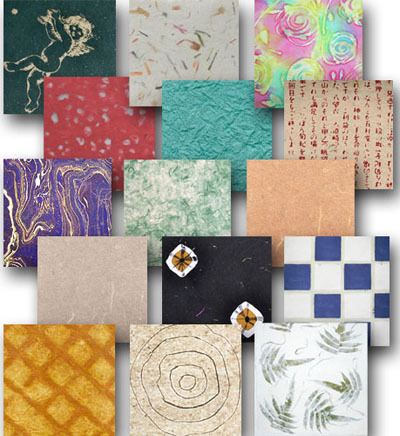 We produce our papers in “parent” sheets – which can be cut or torn into the smaller sizes used in scrapbooking. Remember: “Handmade paper brings a whole new meaning to the term ‘dye lot’”!